Lovejoy High School has a growing presence in the online course space with delivery of select courses! Lovejoy ISD is pleased to provide a growing base of LHS Online Signature Courses following successful summer offerings in 2017 and 2018 with Leadership and Health courses. 2019 is poised to bring those classes and more as we explore other opportunities to best meet student needs. LHS Online Signature Courses are differentiated from the existing online course market through an online-specific construction and delivery capturing the Lovejoy course environment of rigorous engagement and consistent, quality lessons. 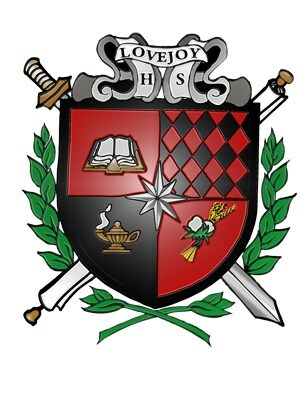 All courses will be designed and instructed by Lovejoy High School educators attuned to instruction in the digital space. As student learning occurs differently in online courses, LHS Online Signature Courses are not simply digitizing existing classroom activities. Many different scenarios will be experienced which are specifically targeted towards learning in digital spaces. The inaugural course (Leadership) occurred in the Summer of 2017 and was limited to Lovejoy ISD students. 2018 brought the addition of a new Health online course to complement the Leadership recurrence. Both were offered to a limited number of Lovejoy ISD students. Selection continues to be made through the school counselor channel to best manage the limited class space. Check back in 2019 regarding potential 2019 - 2020 school year offerings.